Tiny elves, a ‘uman’ mouse, and a wicked wizard overpowering all—this book will grab your interest and your heart. It has all the magic of a good fantasy read. So, sit back, grab a cuppa tea and a plate of cookies and follow Hisbil, the young forest elf, on his adventures to find his father–the owl wrangler, who disappeared days ago on one of his missions, and was never heard from again. Young Hisbil is caught up in a tangle of emotions at this time in his young life. Family and friends are pushing him to make an important decision on whether or not he is going to follow in his father’s footsteps. He had planned to do this one day, but he never had expected that today would be “that” day. He was too young, too innocent, too scared, too insecure—well . . . just “too everything.” Granted, he was the only one who knew the spells that his father taught him, but he had no idea if he could remember everything. It was a very scary and lonely time for this young Seldith. If he declined, the village would end in ruins. As many experiences in life happen (as we all know), one thing led to another and before Hisbil had any more time to think about his options he was off on the adventure of his life. There was no other choice but to keep moving forward—one step in front of the other. His sweetheart Kassie, and his little sister Anasta, both, were mixed up in this mess, and he knew that he had to not only protect them but find his father, too. The further along they travelled the more unusual the characters became, and each tagged along, until there became a small posse of unlikely friends. For me (an old forgetful curmudgeon), with all the minute detail that a good trilogy will start with, the beginning was hard to snag a catch. It was slow going, and I had my doubts. After a while, though, I started to be sucked into the storyline without knowing it. Then, I realized that I was thinking of Hisbil during the day and all the trouble he was getting into. I was thinking of Kassie, his girlfriend, and was worrying about her mother. And, I was hoping that Hisbil’s father wasn’t dead, after all, as I turned page after page. So, my closing thoughts are . . . don’t give up, because this story is well worth the effort of learning about the first few chapters in this new world. It has all the intrigue and magic and fantasy and even a touch of romance that every really good story has, and you won’t be disappointed. By the end of the book, I am sure you will be in love with all the characters as I am. 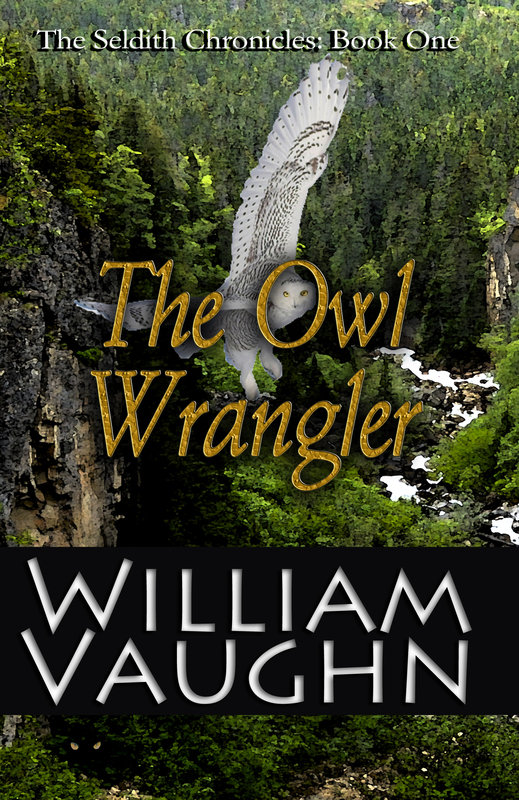 My thanks to the author for this lovely copy of The Owl Wrangler, and to Review the Book for allowing me to do just that! This entry was posted in BOOK REVIEWS, POSTS and tagged Adventure, Coming of Age, Dystopia, Fantasy, Magic, Owls, Political Allegory, Science Fiction, Seldith Chronicles, Young Adult. Bookmark the permalink. ← Tales of Tremora–The Shimmering by William Westwood Jr.